A quick card to share with you featuring a darling image from Beccy's Place who happens to be our sponsor over at Friday Sketch Challenge. This one is called Summer Stanley. He really is cute! The image was printed on Neenah Cardstock and colored in with Copics. The patterend paper is from AC. Once colored and popped up, I added some Glossy Accents to the mask and the sentiment is a sticker I had from Soft Spoken. Super fun and easy sketch to work with. Friday again?! Yes please... I hope you all had a great week and ready for a great weekend. And hopefully, many of you are starting to thaw out a bit. 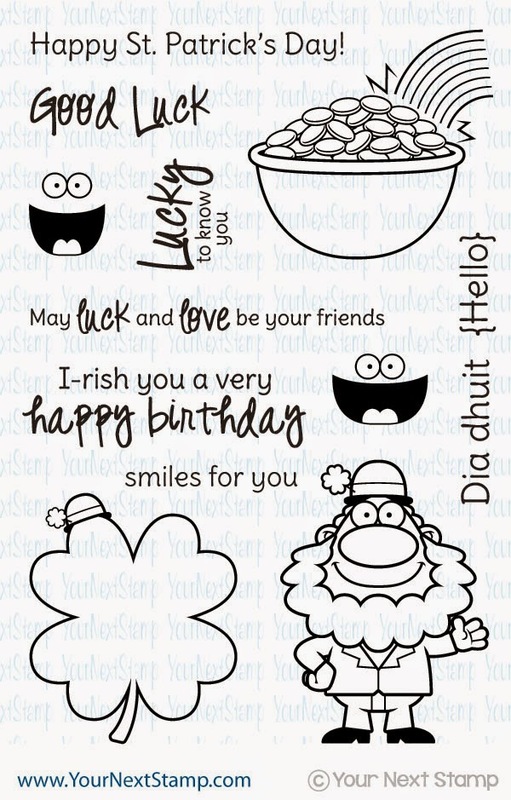 It's time for another Friday Fun Project with Your Next Stamp and my card today is featuring the newly released set of Irish Hello. I just think this set is fabulous and covers everything you need for a St. Patricks Day project. I paired this fun guy with the current YNS Sketch you can find here. I wanted to keep with the holiday colors of green and gold and it was a perfect one to use some new gold mirror paper I picked up at a LSS. The image was colored with Copics and cut out using the Irish Hello coordinating die set. Using my various sizes circles punches, I punched out the circles to be placed on the base of the card. 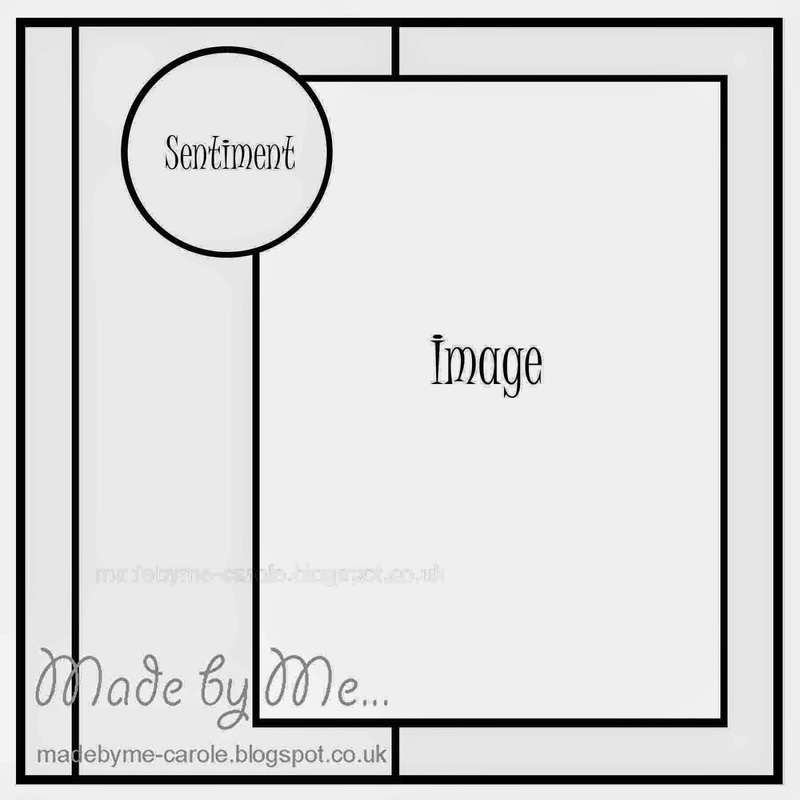 The image was then popped up and the sentiments stamped directly onto the panel. Be sure to stop by the YNS blog to see some other fun Friday projects! Thanks for stopping in and have a great one! Let's talk about why you came to peek in... It's Feature Day with Your Next Stamp and you do not want to miss out on all the fabulous crafty goodness the DT has put together. So this little cutie is a new soon to be released called Katlyn she is just so fun and cute. I colored her in with Copics before cutting her out along with the bunny to be popped up over the grass. I used the current YNS challenge sketch for my layout while the fun patterned paper is from MME. The new released stitched marks die was used as part of the background to be use with the patterned paper circles. YNS Gumdrop embellishments were used to complete the look. Such a fun sketch! 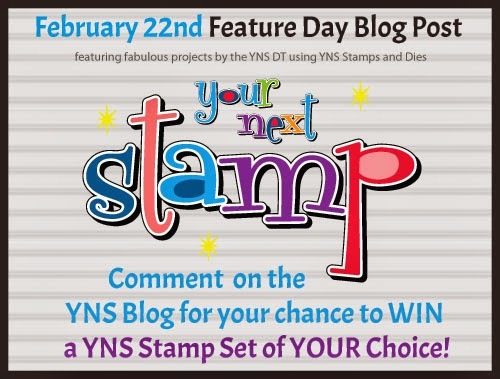 Don't forget to head to the YNS blog to see all the fun DT creations and to have a chance at winning a stamp set of your choice! Thanks for stopping by! Today's Friday Fun Project with Your Next Stamp features an image from the new release set of Irish Hello. This is such a fun St. Patricks Day set and one you can use to make whimsical cards/projects or simple sophisticated cards/projects. Thanks for stopping by and taking a peek. Have a warm and wonderful Friday! It's time for the Your Next Stamp DT Dare Challenge! This months DT Dare challenge is 1-2-3. What is that you ask? That means you use one stamp, 2 dies, and 3 gumdrops. I love challenges like this. It gets you thinking outside the box. 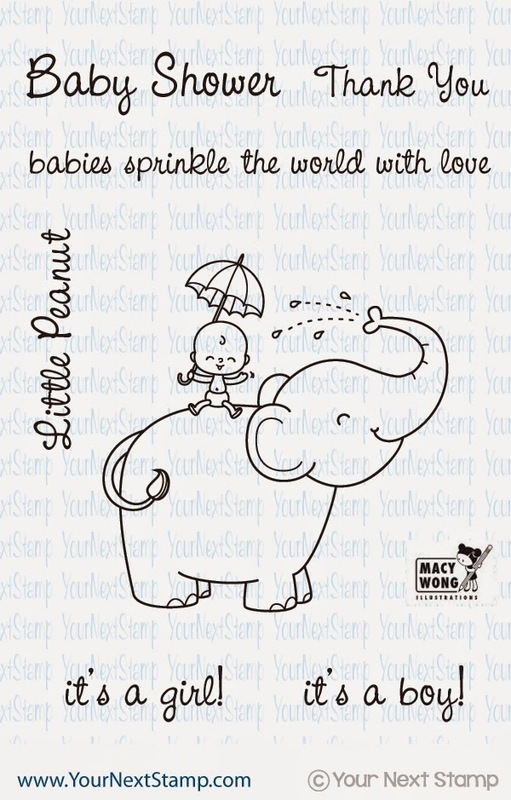 For my card, I am using the new release of Little Peanut. How CUTE is this set? I paper pieced the elephant using some patterned paper from Doodlbug &Co. The baby was colored in using Copics while I used the new release set of Stitch Marks in conjunction with the plain circle dies for the sentiment. I popped up the sentiment as well as the sun which is from the Whatnot Seasons die set. There is my 2 dies used. I used 3 gumdrops in both Blue Raspberry and Ivory to complete the look with some twine on the side. 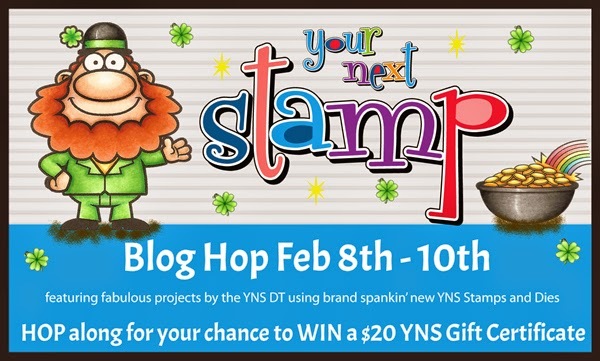 Be sure to stop by the YNS blog to see all the fabulous DT creations with this challenge and for your chance to win a stamp set of your choice just by commenting!! Have a great day! Have you checked out the challenge over at Party Time Tuesday? Come play along- it's Anything Goes and the sponsor is Crafter's Companion! The challenge runs all month long, so you have plenty of time to link up your project or two. I am sharing with you my card I made using Your Next Stamp set of Perfect Chemistry. This set is super cute and perfect for that science lover. I stamped the images on Neenah cardstock and colored them in with Copics. The patterned paper is AC and the card was completed with YNS Gumdrops and a heart cut out from the Whatnot Seasons die set. We hope you come play along to win a fabulous prize!! It's Blog Hop time with Your Next Stamp's February release! Did you see all the fun sneak peeks from the DT? What fabulous projects everyone had using this fun release. I love all the St. Patrick's Day stamps and dies- certainly a holiday I do not have a lot of items for. And green is my favorite color! Go figure..
For this first card, I made it using the new set of Irish Hello. This set is so much fun and had coordinating dies to match. 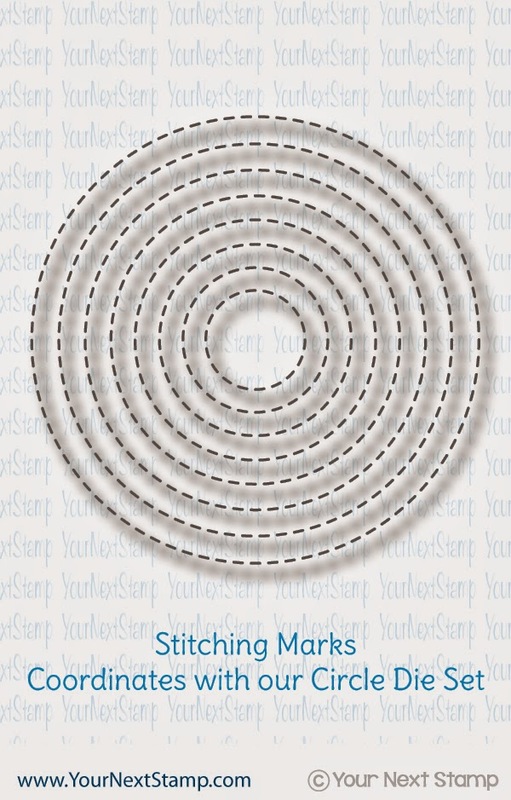 Speaking of dies, YNS also released some fun Stitching Marks dies that coordinate with the plain circle dies they carry. While you cannot see very well in this card, I did use the stitched circles on the patterned paper from Basic Grey before popping up the pot of gold image on top. The image was colored in with Copics and topped with some Wink of Stella for some fun sparkle. Here is a close up of that. The sentiment is from the same set and stamped directly onto the top panel. For my second card, I had fun using the new Irish Whatnots. 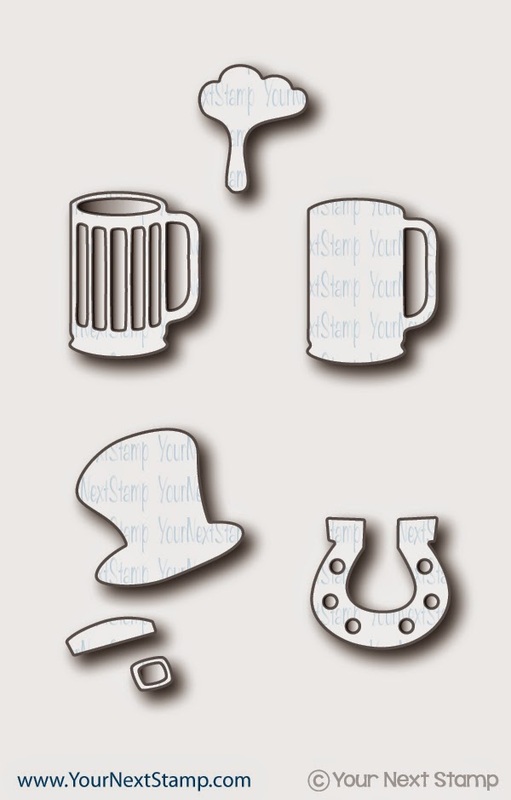 I was going for a little humor of some birthday fun with tipping beer mugs. Honestly, I am not sure why I went in the direction it is. Why didn't I go from left to right? :) Oh well! Maybe it adds to the humor? How fun is that beer foam for the tops? Again, the sentiment is stamped directly onto the panel while the mugs are popped up. Don't forget to hop along and comment for your chance to win a $20 gift certificate to Your Next Stamp. And even if you don't win, you can take up this awesome deal of 20% off your order! Thanks for hopping along! Have a great Sunday! It's that time again... SNEAK PEEKS for the February release of Your Next Stamp! For my sneaky peek, I am using the new set called Whatnot Sentiments Four. 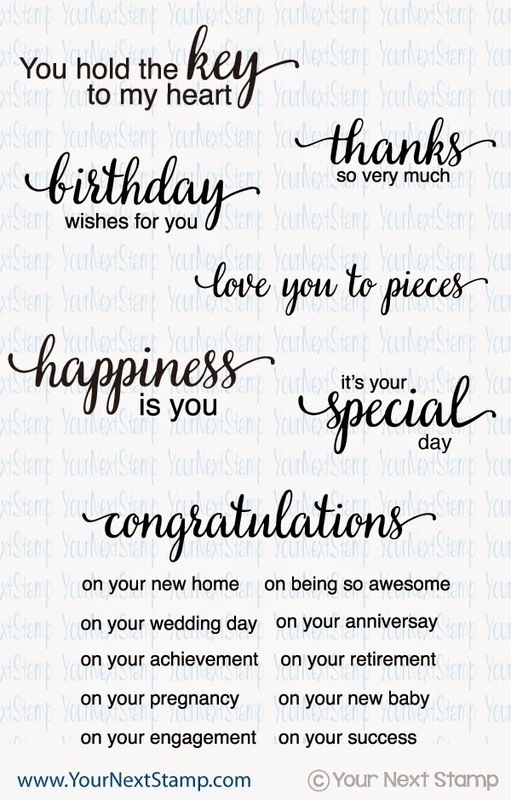 This sentiment set is a perfect mix of sentiments to meet any occasion. I mixed this card with the current YNS sketch and last months die release of Key To My Heart. The papers are from MME and some red scrap from my stash. The key was cut out with some black card stock to be popped up, while the sentiment was stamp directly onto the top panel using both black and red rhubard memento ink. The card was finished with some rhinestones and stitching along the bottom using the little stitches die. Be sure to stop by the YNS blog to see all the fun sneak peeks and check back tomorrow to kick off the new release blog hop! Have a great Saturday.